Hey guys! 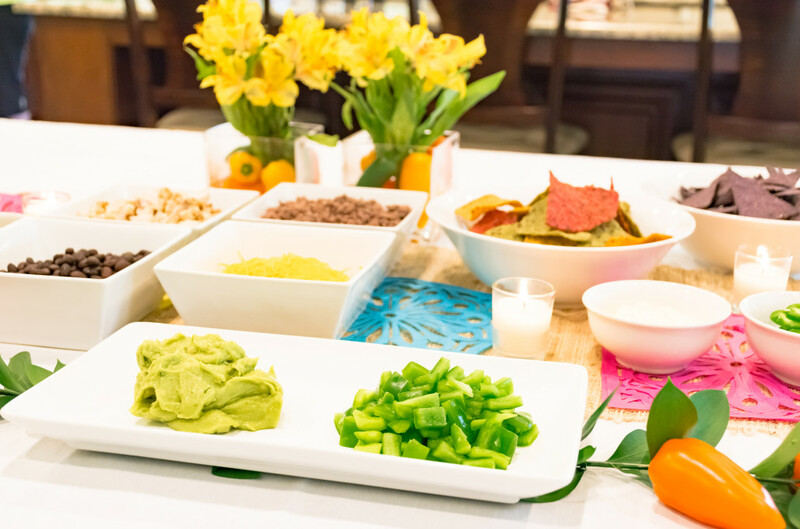 Cinco de Mayo is just around the corner and this year we are celebrating with a super easy but delicious nacho bar. 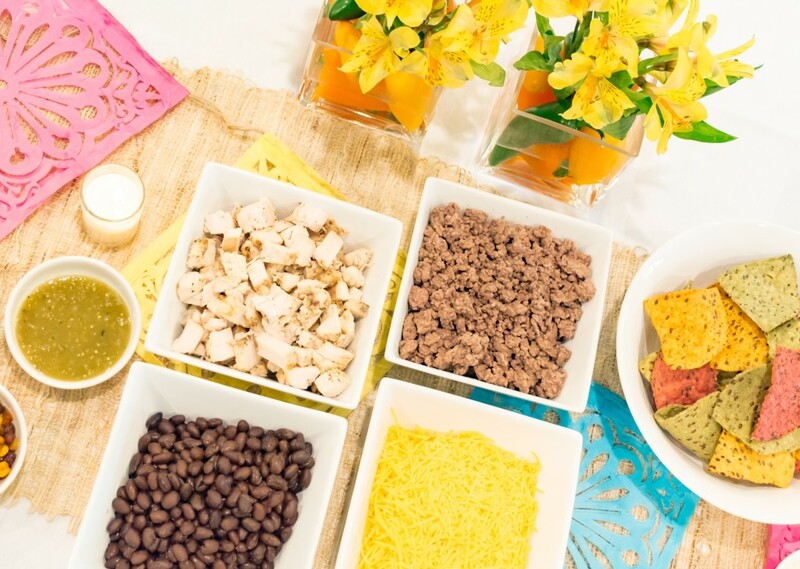 What’s a good Cinco de Mayo nacho bar without lots of color and lots of food?! 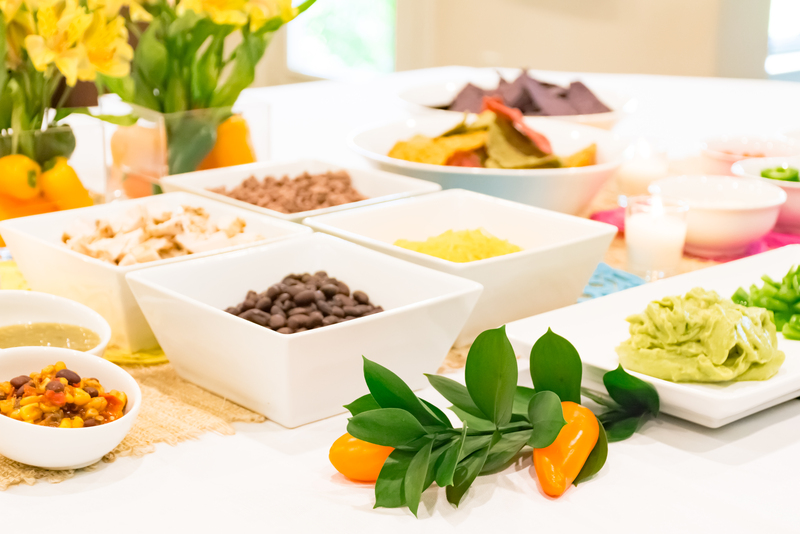 We make nachos a lot at our house, and because everyone has different preferences we have a big spread. Everyone selects their toppings and then we heat them (on a cookie sheet) in the oven just until the cheese is melted. It’s always a big hit with the kiddos and adults too! 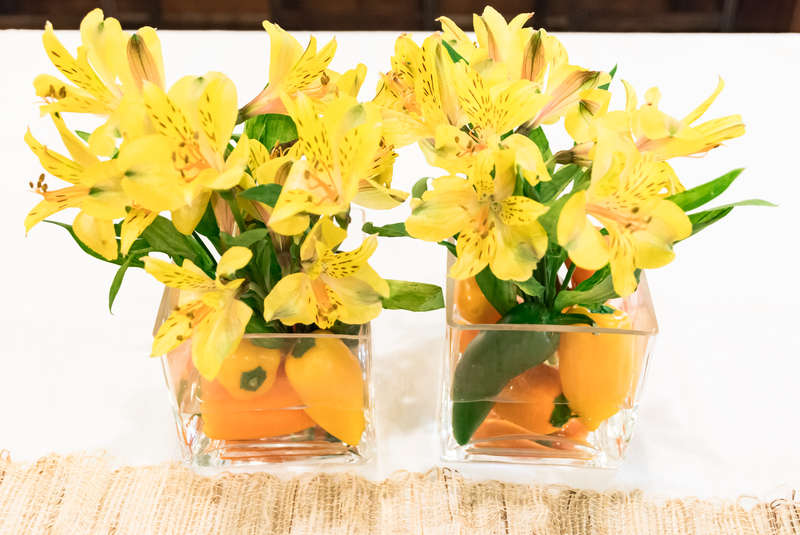 I add flowers and candles to virtually every get-together we have as it makes an otherwise simple meal a little more special without a lot of effort. I feel like those little touches truly complete the tablescape. 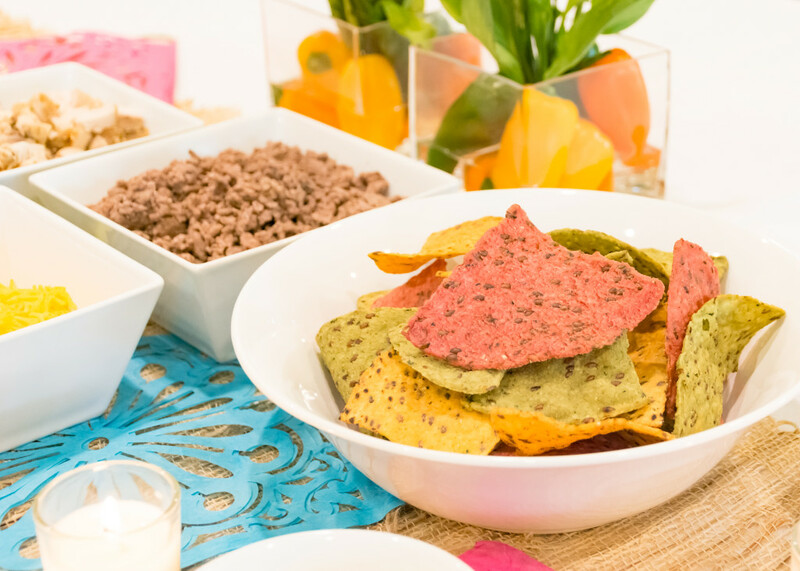 The bar included: blue corn chips, veggie and flaxseed tortilla chips, grilled chicken, ground sirloin, black beans, shredded cheese, salsas, guacamole, green peppers, chopped onion, chopped tomatoes, sour cream, and sliced jalapeños. 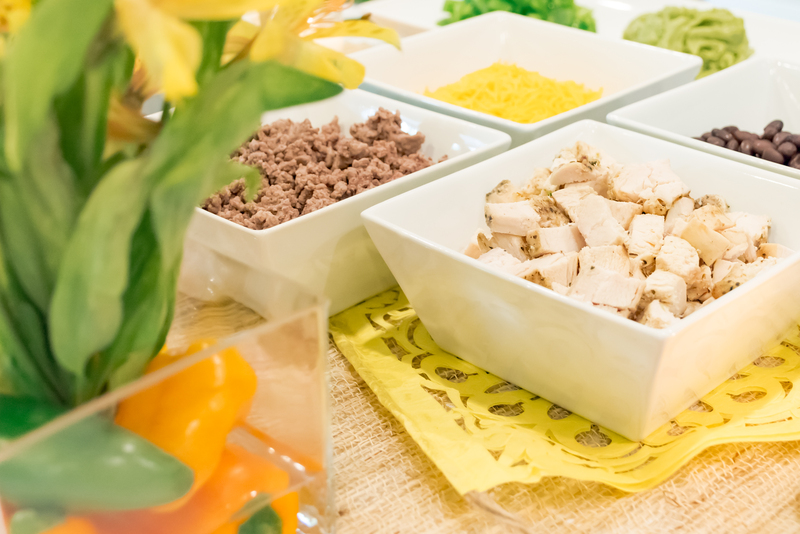 Salsa choices for everyone! 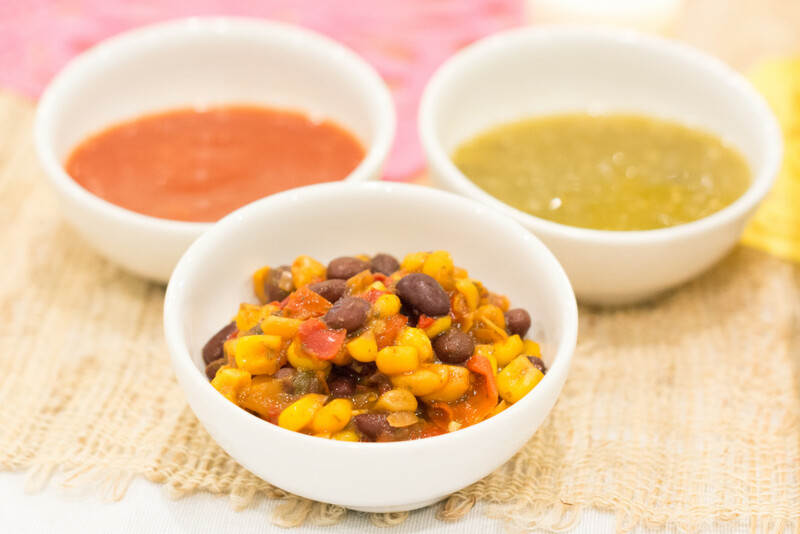 Red, green, and even “cowboy caviar” from Trader Joe’s. Do y’all celebrate Cinco de Mayo? 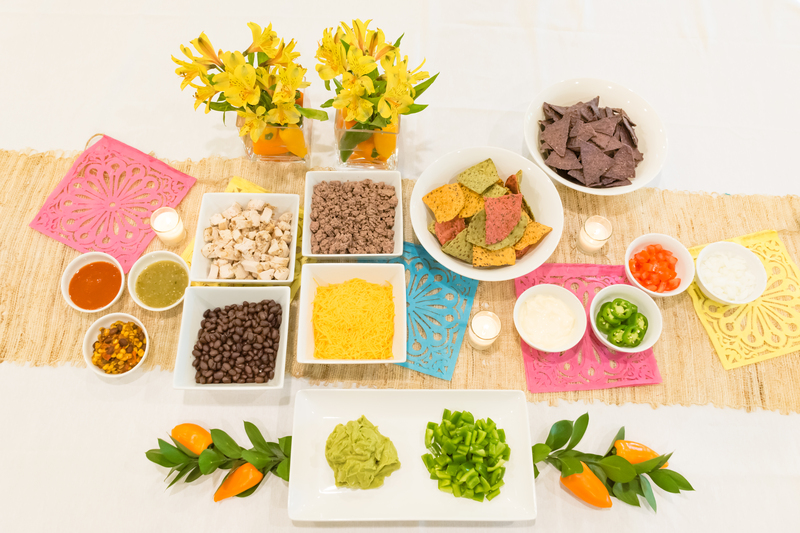 Anyone else plan to make a Cinco de Mayo nacho bar? I’d love to hear what you’d add to the table! Have a great day, y’all! If you like what you see here make sure to head over to Thoughtfully Styled for more entertaining inspiration! 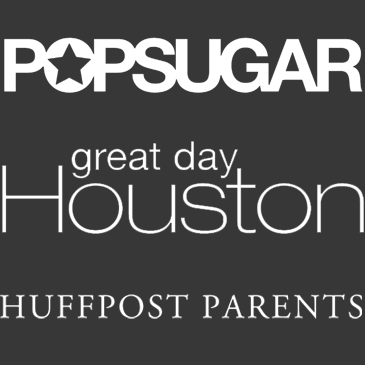 Don’t forget to follow along on Instagram, Facebook, Pinterest and Twitter! 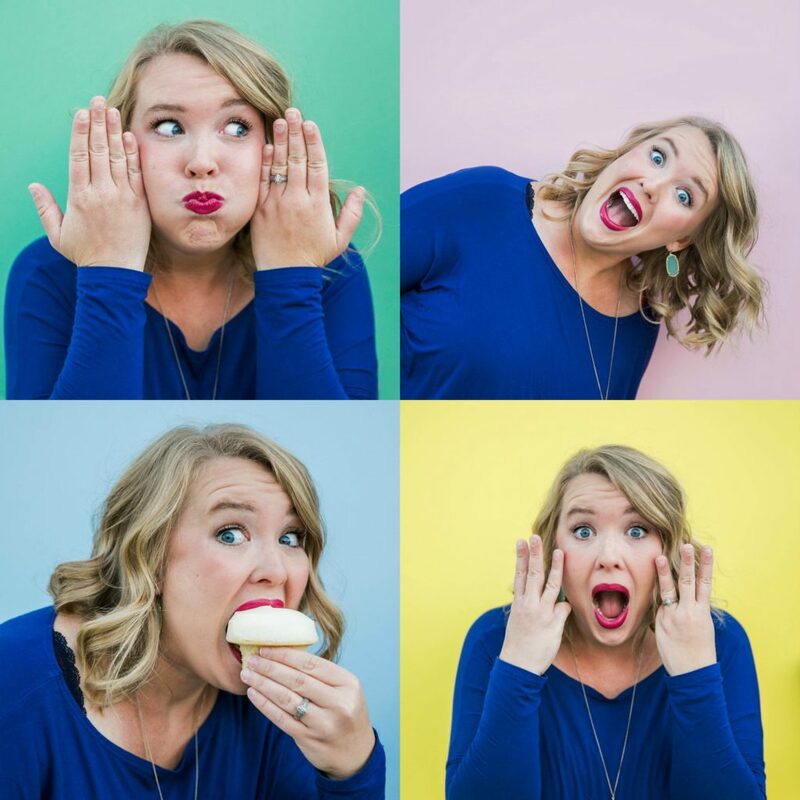 Hey y’all, I’m Jessica – wife, mommy, party planner, stylist, and lover of all things entertaining and styling! I’ve been styling people and parties since I was a little girl and while my venues and clients may have changed a bit, my love for making people feel their best has not! I’d be honored for you to follow along on my journey, as no blog can be successful without dedicated readers! I’d love to hear from you! Feel free to contact me at contact@thoughtfullystyled.com.